We’re proud to offer our our albums for direct purchase from our on line sales portal. You can preview quite a number of the recordings from these albums by visiting the Music Page here on our web site. Click Here to have a listen! 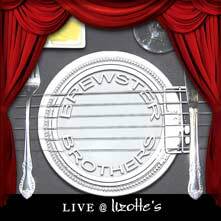 Recorded across three consecutive nights during the Autumn of 2012 “Live @ Lizottes” represents the ongoing maturity of the live Brewster Brothers performances. Listen as they carry the audiences in these three venues on a journey from their early folk influences right through to their ultimate rock and blues destination. The recordings on this album flow from the speakers in a way that leaves you feeling you were actually there at the show. 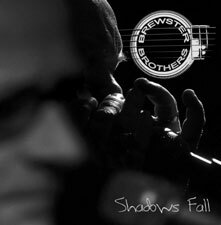 “Shadows Fall“, the Brewster Brothers first album, reflects the other side of these two rock guitarists from Adelaide. Haunting ballads, thought provoking lyrics and a good dose of foot-down rhythms. Rick Brewster’s early days of playing classical piano are brought forth through the songs via traceless harmonic wanderings of piano, string arrangements and traditional electric organ embellishments. 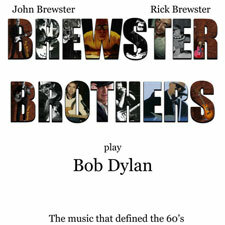 “Brewster Brothers play Bob Dylan” references back to John Brewster’s early days at home, holed up in his bedroom listening to the likes of The Band, The Beatles and Bob Dylan. The authenticity with which these tracks are presented goes to show just how much Dylan has influenced John’s sense of melodic structure, his strident harp playing and his ability to pen referential lyrics. If you like Dylan, you’ll love this record. 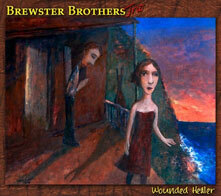 The studio album titled “Wounded Healer” goes on to show the increasing scope achieved in the Brewster Brothers music after a number of years developing their unique style. Coming back in to the mix even further is that classic influence of their time in The Angels, seen here through the deepening emphasis on tight grooves. It’s not a rock album but when you listen to these tracks it makes you want to rock. It just wouldn’t be right for these two not have a live album……. 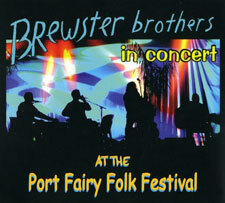 after all, they have been performing live ever since they started their jug and string band in the seventies. With that many years experience you can be sure that this album conveys the up front shine that comes from such a polished live act. Recorded at Port Fairy Folk Festival and featuring the legendary Jim Conway on his harmonica, this record captures the energy of a band performing to a very receptive crowd.